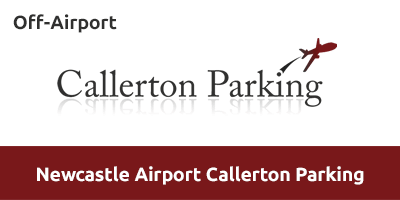 Located less than five minutes' transfer from Newcastle Airport, Callerton Parking holds a Park Mark Safer Parking Award and offers 24 hour manned staffing and patrols, CCTV, security fencing and gates. It's simple and convenient to use with your car parked for you as you head to the terminal. Transfers to and from this car park operate throughout the day. The journey to the airport takes around four-six minutes. Along with its police-approved Park Mark Safer Parking Award, this car park offers full perimeter fencing, CCTV and security patrols 24 hours a day. This car park is open all year round, throughout the day. Take the slip road signposted A696 Jedburgh and Airport. Go along the A696 towards the airport then take the second slip road on the left signposted Woolsington & Throckley. At the top of the slip road turn right at the mini roundabout. At the next mini roundabout head straight over towards the Metro lines. Callerton Parking is the first entrance on the right hand side, before you reach the Metro line. Park in the arrivals area. Head to reception and present your booking confirmation and hand over your keys. Your car will be inspected. Catch the courtesy bus transfer to the airport. Head to the Drop-Off/Collection point and await your transfer back to the car park. Collect your keys from reception and you will be directed to your car.